It usually takes me a few weeks to recover from my annual trek to Las Vegas for the International Consumer Electronics Show (better known as “CES”). The convention floor alone is the equivalent of 35 football fields -- around two miles long. This year was bigger and better than ever before, with the main focus on what’s known as IOT (the Internet of Things). IOT will become the biggest buzzword as we progress further into the 21st century and find new opportunities to connect everyday items like cars, home security systems and kitchen appliances to networked devices like our computers and smartphones. These new technologies will afford us greater control and management of our everyday lives. While it’s unusual to find anything truly brand new at CES, there are always a half dozen products that are the big talk of the town. These products have been improved upon over the years and with these improvements come more applications for consumer use. From 3D printers and full body scanning technology to flying drones and high-tech health/fitness wearables, it was a dizzying experience trying to keep track of all of the impressive gadgets. As in years past I find myself keeping my ears open for the sound of Hebrew being spoken at CES. I’m always interested in new technology coming out of Israel and where I hear Hebrew, I know that an Israeli startup usually isn’t too far away. Of the more than 200,000 attendees at CES, there is an unusually high percentage of Israelis. The same is true with the exhibitors as there are always a large number of Israeli companies, startups, entrepreneurs and venture capitalists. One of my favorite new gadgets at CES is a little robot that is actually a printer. This mini robot has small wheels and is going to disrupt the printing industry. Rather than having paper feed through a printer, this robot runs on the paper and prints. It’s a mobile printer that you can keep in your car’s glove box and take anywhere. 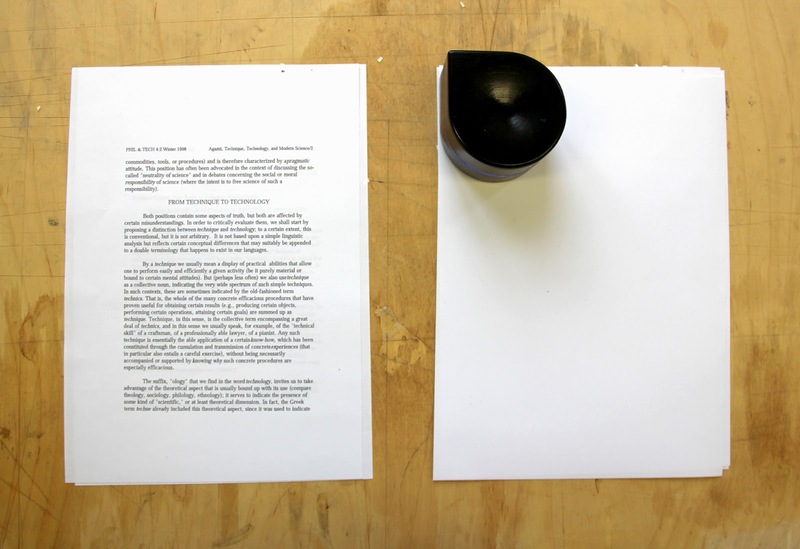 ZUtA claims they have created the smallest printer in the world and yet it can print on any size of paper no matter where you are. The company began with a successful Kickstarter campaign and it was no surprise to me that ZUtA Labs took home a Best of Innovation award at this year’s CES and they are a South By Southwest (SXSW) Accelerator finalist for this year. I promise you’ll be hearing more about this company in the years to come. This startup, which is about to move its headquarters to Boston, helps individuals become healthier. It is now the leading global medication maintenance platform sing a cloud-synced mobile management system. A few years ago Israeli Omri Shore had a eureka moment as he watched his Diabetic father double-dose on his insulin intake by accident. He realized there was a need for a mobile app to help people monitor their daily medicine. Headed by Omri and his brother Ariel, Medisafe offers both iOS and Android apps for smartphones and tablets. To date they have over 1.3 million mobile downloads. 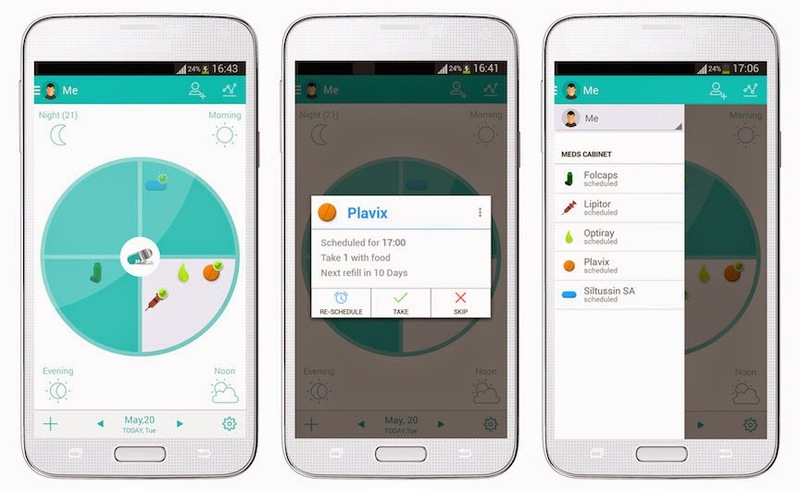 The MediSafe mobile app reminds patients when to take medication (whether a pill capsule, liquid medicine or injection) and the Med-Friend feature (family member, caregiver, nurse, camp counselor, etc.) is notified if the patient doesn't check in so they can offer a reminder. MediSafe recently raised a $6 million Series A round and will allocate those funds toward accelerating user growth in the U.S. market. I first met the team from Silentium in 2013 when the company won the Best of CES award for its Quiet Bubble so it was nice to catch up with the company at CES and learn about their progress over the past two years. 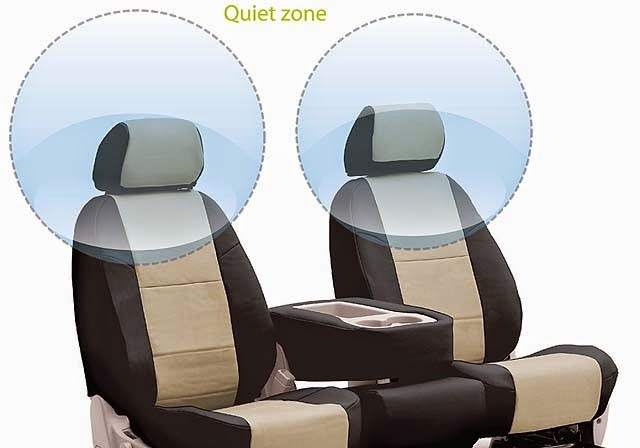 The company created a spatial Active Noise Reduction solution that introduces a personal quiet zone. The technology allows significant noise reduction in a specific area around a person’s head, such that ambient noise can be reduced without the use of headphones and unwanted sounds can be reduced. Silentium’s system can be integrated within the headrest or a pillow to allow a quieter interior environment, making airline companies crave their technology. For the individual consumer, Silentium’s Quiet Zone will be ideal for people who want to watch TV in bed without a headset with minimum disruption to others. This Israeli company has been in talks with such major corporations as Intel, HP, Haier, Hyundai, Siemens and Cisco. This Israeli company is making a name for itself with its mobile face & eye tracking software. This technology will be integrated into various software and hardware products allowing users to control the activity with only their eyes and facial movements. Already Umoove’s technology is being used in video game mobile apps like its own 3D Face and Eye Tracking Flying Game, in addition to such games as Zombie Watch and HeadStart. It is also responsible for the mobile app 3DSelfie from Egos Ventures, which allows users to create 3D images using the latest face recognition technology. These are the fun applications for Umoove’s system, but consider all of the practical ways that this face and eye tracking software can be used in the healthcare industry and for those individuals unable to use their hands. Umoove is currently focused on utilizing its technology to monitor and improve brain activity. A perfect example of a company embracing the Internet of Things is Sensibo, founded by Omer Enbar and Ran Roth. This Israeli startup makes any air conditioner smart. 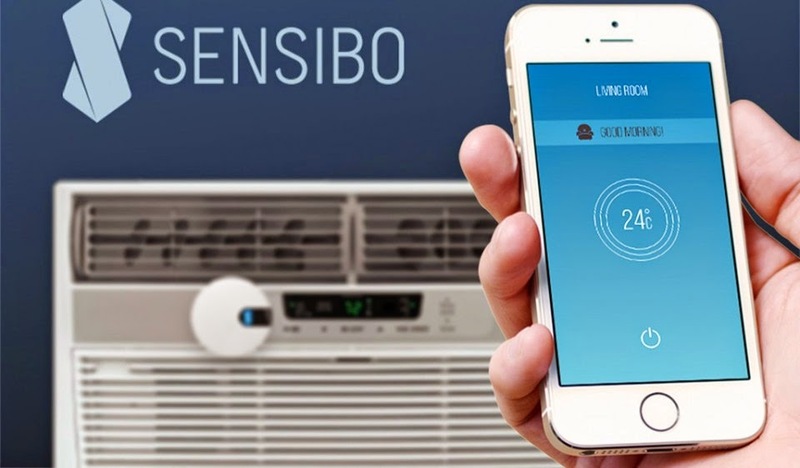 Rather than have to purchase a new air conditioner and have it installed, Sensibo allows the user to control the air conditioner anywhere from a mobile app. Sensibo learns and adapts to the customer lifestyle, adjusts the A/C settings automatically and saves energy in the process. Their product will disrupt this market since A/C units and their remote controls haven’t advanced in decades. Sensibo boasts it can save up to 60% in the A/C's power consumption and on average 40% thus lowering electricity bills significantly. They are offering their starter kit (presale) for $239 on the sensibo.com website. CES was just another forum for us to see the vast contribution of Israel to the advancement of technology. From IOT and healthcare technologies to mobile apps that depend on voice controls and eye movement, Israelis are at the forefront of the digital age. Last week alone in Israel Amazon bought Israeli chip maker Annapurna for $350 million and Harmans bought Red Bend for $170 million. In addition to these deals, five other Israeli companies raised over $60 million. Startup Nation is stronger than ever and our lives will be changed in the future thanks to Israeli innovation. IMy fellow Israelis would undoubtedly be present in this kind of convention being that my native country is in the forefront of IT and scientific and medical innovation, being the poster child of the Start Up Nation, but they prefer to exercise their English when possible. When Shelly was an intern at the Assaf HaRofeh hospital, he wanted to speak Hebrew whereas his fellow doctors insisted in speaking English.